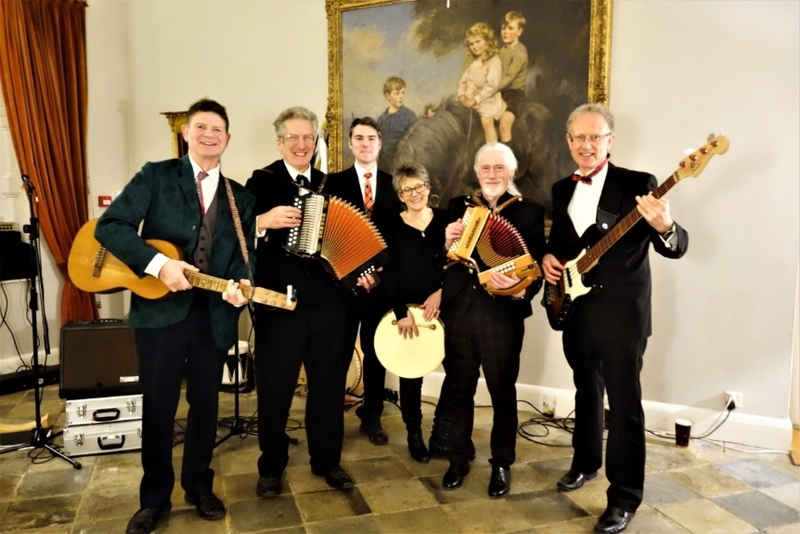 Once again, the Silver Bough Ceilidh Band led by Donald and Jackie provided the poetry, music and dancing for Burns Night at historic Talton House, Warwickshire on Friday evening, 25 January 2019. It was pleasure to work with Piper and Orator Alistair Wilson again and we began the evening outside, welcoming guests with bagpipe, drums and flag-waving. Most enjoyed our loud serenade – just a few looked a little intimidated by our efforts! As in previous years, a full-house of guests enjoyed a lovely meal and afterwards, danced until late. We would like to thank the staff at Talton House for their hospitality and the guests for dancing to exhaustion point! 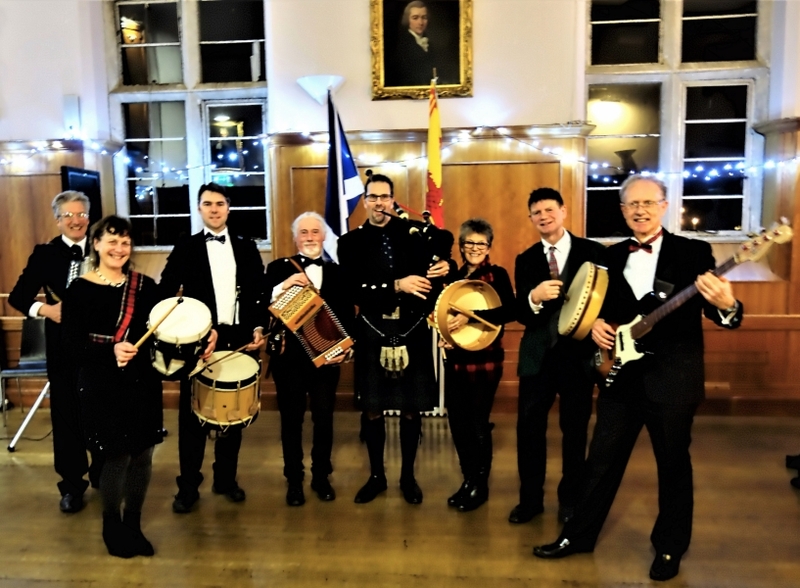 Our Burns celebration weekend continued on Saturday 26 January when together with Alistair, we provided the entertainment, poetry and music for a fund-raiser at Bloxham School, Oxfordshire. The Great Hall looked fantastic and the event was beautifully organised and run by the School’s BTEC catering students. The large group of guests were clearly in the mood to enjoy themselves and danced with much enthusiasm until the caretaker arrived to lock-up! The band would like to thank the organisers, staff, catering team and students at Bloxham School for looking after us so well. In the slightly amended words of the old Wizzard song, ‘We wish it could be Burns night every day’!